The thrill of discovering the new is one of the many attractive and essential reasons to attend international film festivals - as passionate as any one person can be about the medium, it is simply impossible to know everything about the cinema, past and present, of each country on Earth. Thankfully, then, attending a well-curated movie marathon can open up our eyes to corners of the globe we've never peered into before: this is the case with the 2016 iteration of the Asia House Film Festival. 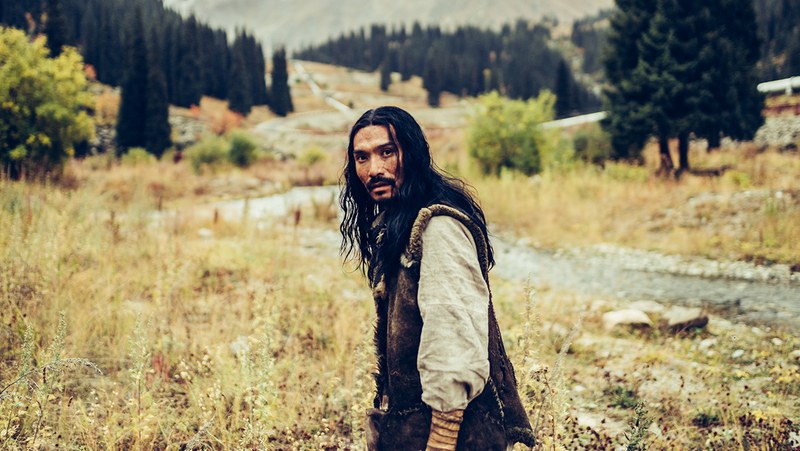 This year, we are introduced to the unheralded cinematic terrains of Kazakhstan and to the film-maker Yermeck Tursunov - two of the director's works are presented during this festival's run. Stranger (Zhat), the festival's opening film, is a startling and vivid movie which show-cases the sprawling, vast expanses of the director's homeland. The radiant, sumptuous cinematography enchants us and it is no surprise to read of the multiple comparisons made between this feature and Akira Kurosawa's largely forgotten, Soviet-filmed 1975 masterpiece Dersu Uzala. Both titles capture a real and sensational feel of the Eastern European wilderness; the lush scenery and the invisible elements of nature are as central to each film as their characters and plots. Both deal, too, with man's relationships with the wild and our place within it. Tursunov's tale begins in the Kazakhstan of the 1930s - the country, in its darkest hour, is in the midst of Russian purges which makes dissidents disappear into the night. Ilyas (Yerzhan Nurymbet) witnesses his father taken by Russian authorities and, armed with little more than paternal advice and a small blade, runs away to the hills and mountains to raise himself. The wolves that provide him company are surely no less beastly than the monsters who have ripped apart his family? Throughout the years Ilyas has little contact with society - he returns to civilisation to trade animal furs for items he cannot create or find in the wild. We do suspect, however, that a less pragmatic reason may govern his re-appearances in society too; his returns see him continually meet a lady we suspect he holds a torch for. Just because Ilyas lives in the wild doesn't make him any less human - in his heart, he still desires companionship, comfort and love. Equally, however, Tursunov shows us through the barbaric and bureaucratic implementation of communism, that people who live in "civilisation" aren't always civilised either. Stranger is a pastoral meditation on what it is to be human and how our humanity comes to be shaped by events we cannot control. This epic, set over the course of one lifetime which runs parallel with Stalin's brutal rule of the USSR, allegorically addresses a number of profound socio-political and philosophical issues and provides an entry point to a period of history which may have remained unknowable to many - this is invaluable cinema. "Art," one of the characters intones "is a deception that helps us comprehend the truth of life". With its stunning aesthetics, then, Stranger is one magnificent and beautiful deception filled with ugly truths.